"Wow, you shouldn't have!" —you, to you. 1. A candle that smells like your grandma's kitchen — it'll really come in handy when you can't go home for the holidays. Get it from Amazon or Homesick Candles for $29.95. 2. A pair of light-up unicorn slippers so warm and snuggly, you'll wonder if they're magic. Get them from Amazon for $37.50+ (available in two styles and two sizes). 3. 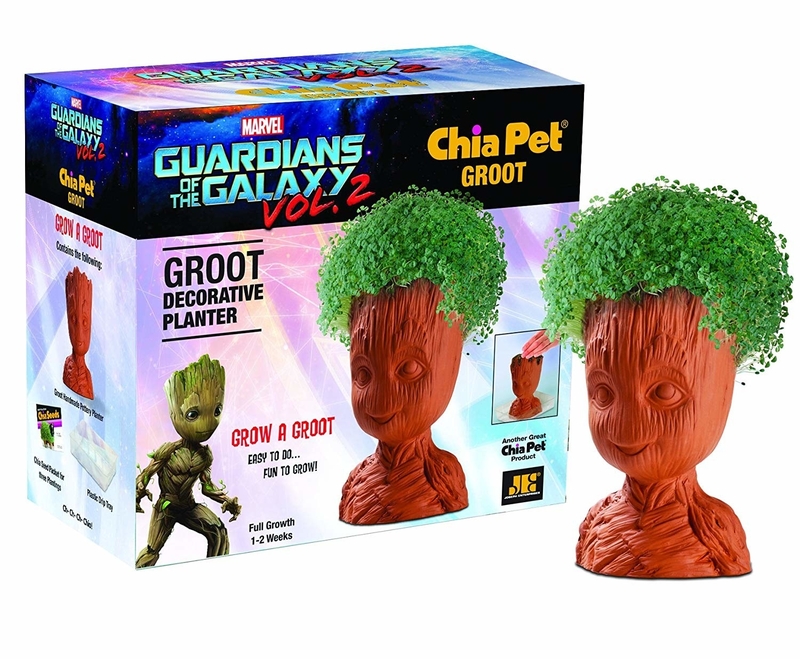 A Groot chia pet that will really grow on you. Get it from Amazon for $14.58. 4. A rosé-themed eyeshadow palette you'll love at first ~blush~. Get it from Karity for $19.99. 5. A Roku that gives you access to all your favorite streaming websites right on your TV. You'll be like "cable who?" I have a Roku and it's one of my most treasured gadgets. First of all, I straight up didn't have a remote so the Roku has saved me from having to get off the couch every time I needed to change the volume on the TV. It's super easy to set up and it has everything from Hulu to sports game streaming. You pretty much just plug it in and the Roku takes it from there. 6. A pack of shot ornaments so you can subtly spice up your eggnog when grandma isn't looking. Get a set of six from Amazon for $13.99. 7. 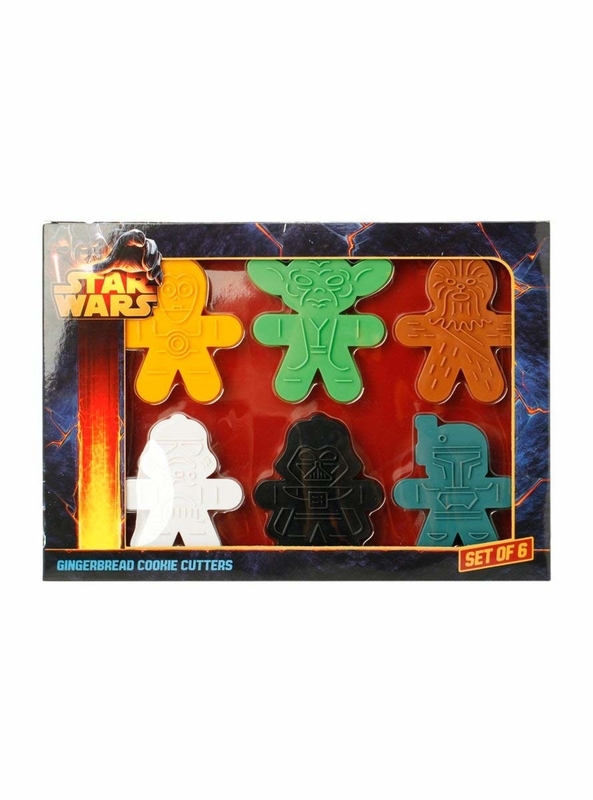 A pack of Star Wars cookie cutters for the tastiest treats in the galaxy. Get a set of six from Amazon for $17.08. 8. A gold-colored mirror you'll somehow look even cuter in. 9. A book on sloth philosophy, because we could all stand to slow down once in a while. This book explains how taking it slow and not getting caught up in being overly productive can actually be really good for you. 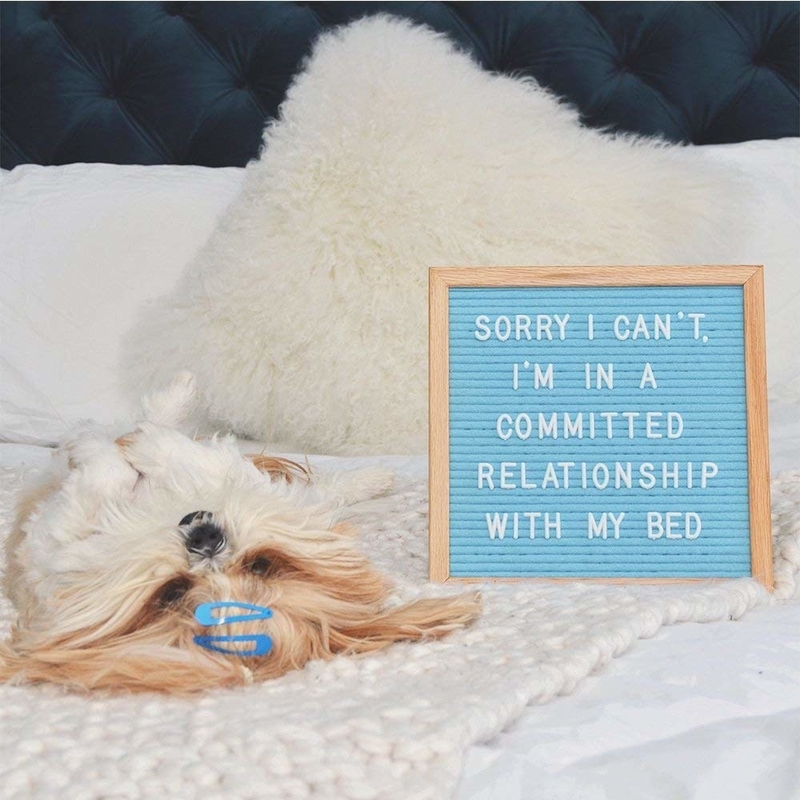 It means more sleep, love, and family, and less rushing to the next thing. Get it from Amazon, Barnes & Noble, or Urban Outfitters for $9.99, or from your local bookseller through Indiebound. 10. A super slim wallet ideal for your next vacation, which is super overdue, just saying. The stretchy card holder can fit two to eight cards, along with some cash. There's also a key ring, making this ideal for students and people who like to travel light. 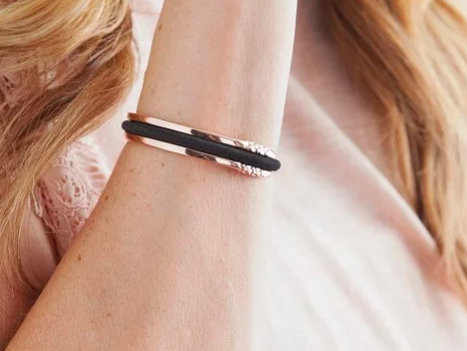 Get it from Amazon for $14.99 (available in six styles). 11. And a travel jewelry bag to also take on that overdue vacation, because accessorizing is even more important when you think about all those Instagrams you'll be taking. There are five snaps for necklaces, a plastic card for 15 pairs of earrings, a zippered pouch, room for rings, and more room for all your precious jewels. Get it from Amazon for $25.99 (available in four colors). 12. Two pairs of colorful socks you'll be over the moon for. Get two pairs from Amazon for $9.99. 13. A bottle of hair oil that just might give you the flowing waves of an actual mermaid. I have pretty frizzy, poofy hair, but this oil helps define my waves and add shine. It has argan oil, jojoba oil, and kukui nut oil. 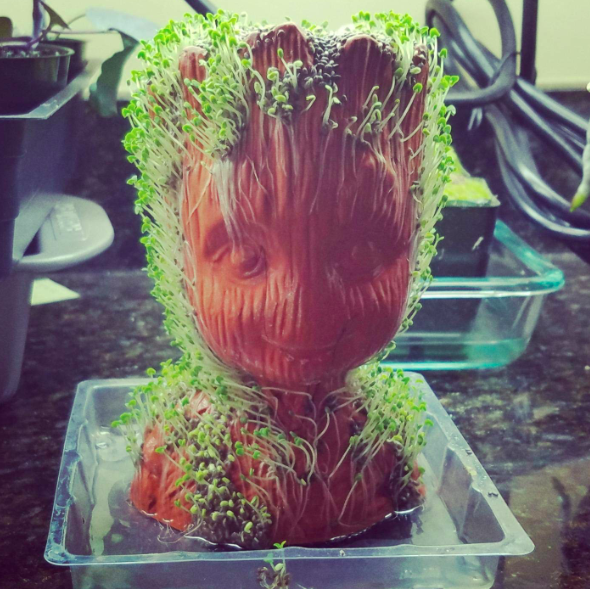 You can even massage it into your scalp to promote growth. Get it from Dermstore for $34. 14. 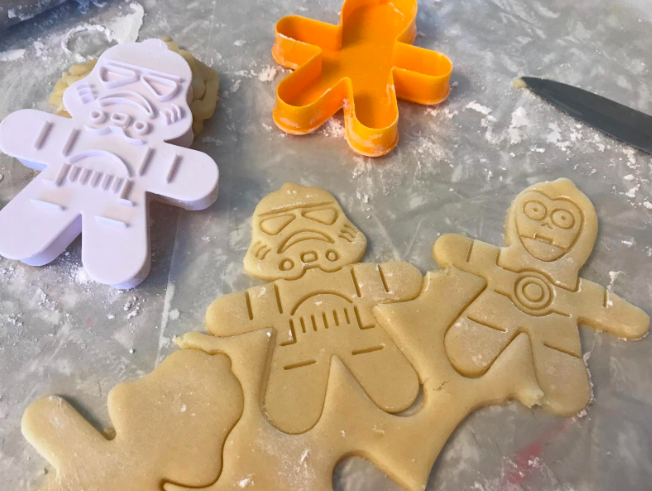 A cookie decorating kit so you and your loved ones can design cookies that will make Santa proud. No promises, but maybe if you leave out your expertly frosted cookies, Santa will give you better gifts. The kit comes with 24 unfrosted cookies, tubs of vanilla and green icing, and holiday sprinkles. If you go with the deluxe kit, you can add aprons and a holiday spatula. Get it from Cheryl's Cookies for $39.99+ (available in regular and deluxe kits). 15. 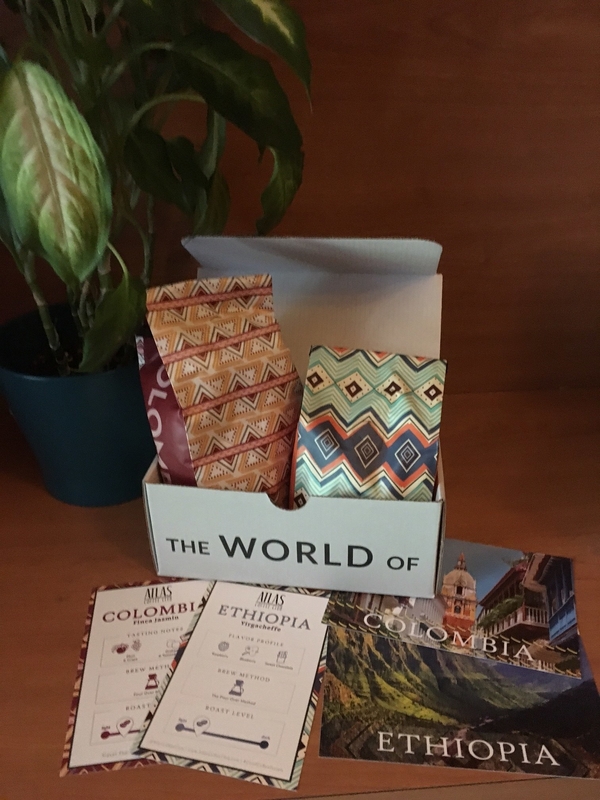 A subscription service that sends you a monthly shipment of international coffee so you can feel well-traveled, even if you never leave the couch. See BuzzFeed's review of this coffee subscription service. You can get a half bag, single bag, or double bags every two or four weeks. Then you can decide if you want light or dark roast, ground or whole bean. 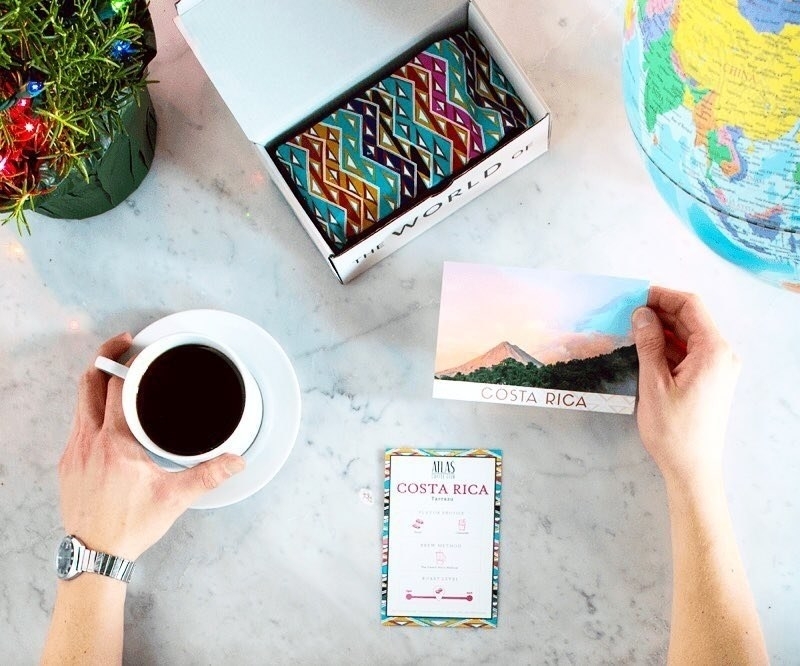 Each shipment comes with a handwritten postcard from the country that made your coffee. Oh, and the coffee is DELISH. Get it from Atlas Coffee Club for $9+/shipment. 16. A box of hexagonal condoms engineered to be super thin but super strong. Get a pack of 36 from Amazon for $26.49 or Lelo for $26.17. 17. 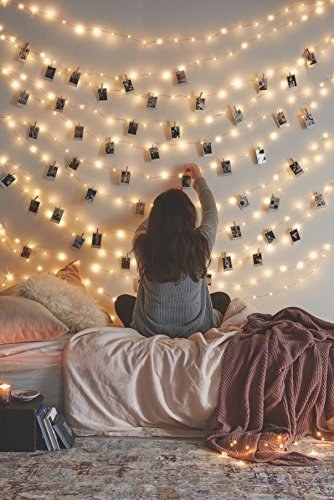 A string of fairy lights to bring a warm ambience to your space. 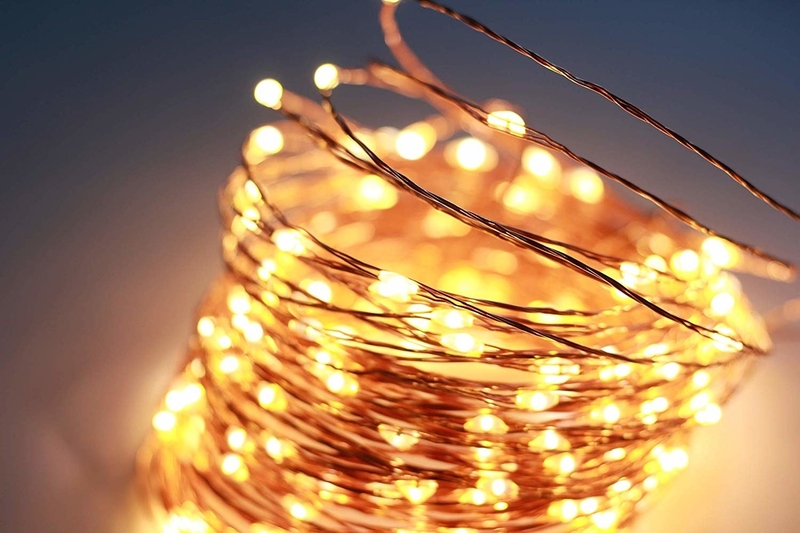 Get 200 LEDs from Amazon for $15.99. 18. A book on billiards that comes with a mini pool table for you to practice on — how cue-te is that? It comes with a mini pool table, balls, rack, cue, and bridge, along with a full-color book explaining how to play over 30 games. Get it from Amazon for $14.33 or Urban Outfitters for $15.95. 19. 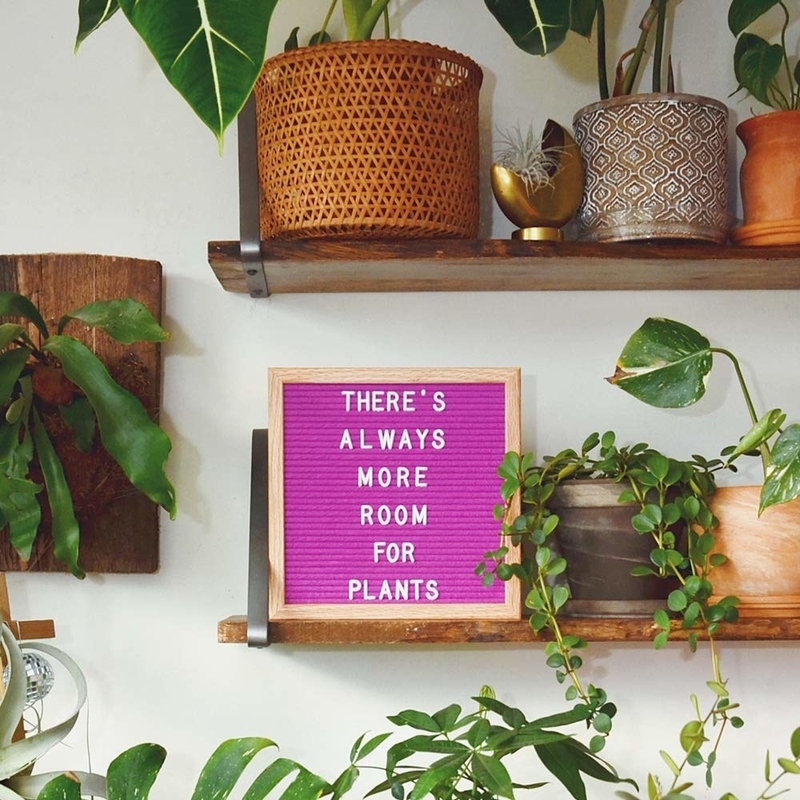 A letter board so you can leave yourself encouraging messages or work on your jokes. The smaller frames come with 150 letters and symbols while the larger frames come with 300. Get it from Amazon for $18.99+ (available in four sizes and 14 colors). 20. An insulated food truck lunch bag you won't be able stop taco-ing about. 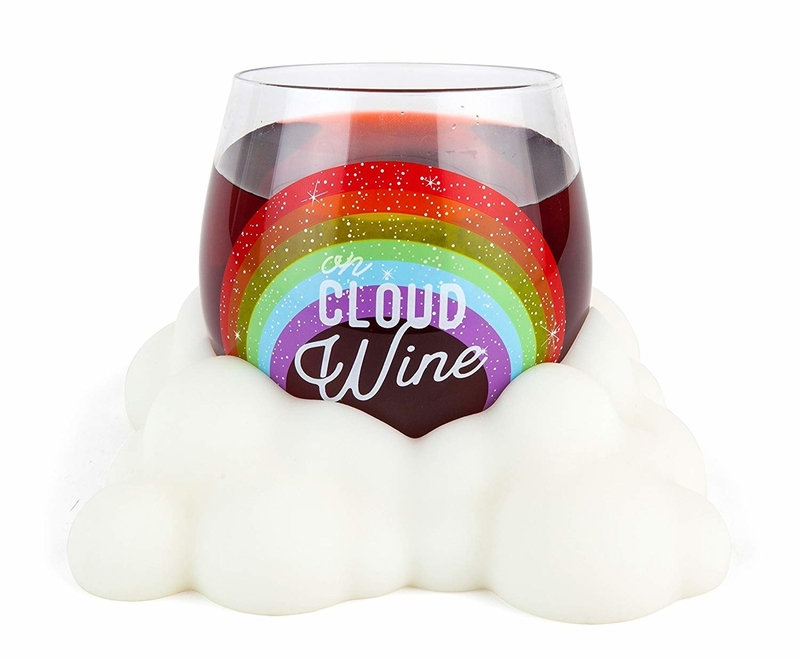 Get it from Amazon for $14.99 (also available in mushroom and doughnut shapes). 21. 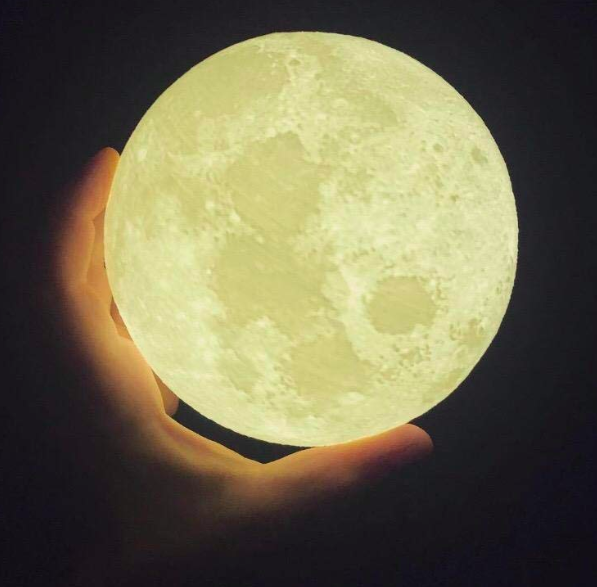 A moon light, because holding the whole world in your hands is overrated. 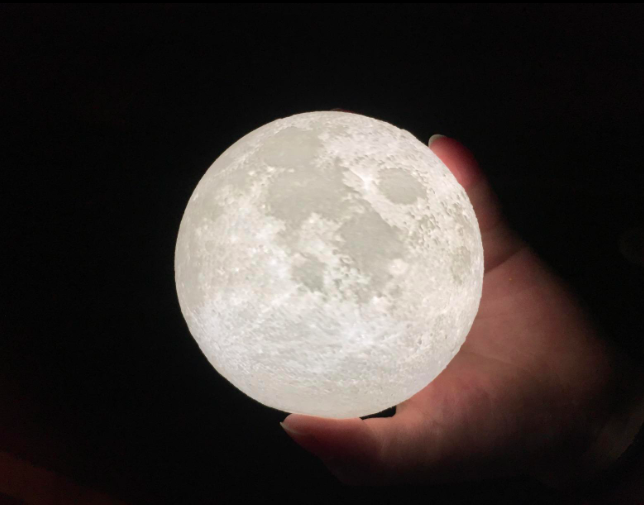 It has touch controls and a smart button that helps you easily adjust brightness. It also remembers the brightness setting from the last time you turned it on. Charge with USB. Get it from Amazon for $16.99+ (available with a ceramic or wood base). 22. A pack of little wax bears for a flameless way to enjoy a wonderfully scented home. These lil' bears are made with soy wax and are biodegradable. They come in three scents: lemon, fresh cotton, and baby powder. Throw two onto your wax warmer and enjoy a refreshing scent, no open flame needed. Get a wax warmer here! Get a pack of 24-26 bears from Amazon for $12.95 or get some festive holiday shapes. 23. A narwhal tea infuser and mug you'll make a *point* of breaking out to impress your guests. 24. A disco ball-inspired face mask so your face can shine bright like a diamond. Get it from Amazon for $23. 25. 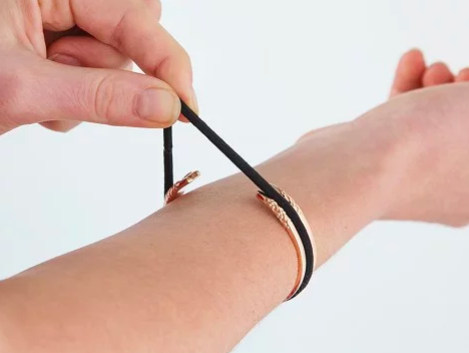 A metal bracelet that lets you keep a hairband on hand at all times without getting those indents on your wrist. It's so ingenious. Get it from The Grommet for $31.50 (available in three finishes). 26. A bottle of handcrafted, small batch bbq or hot sauce from a little company based in New York’s Hudson Valley. I love these hot sauces! The kiwi jalapeno is my favorite — it's not as sweet as it sounds and tastes good on truly everything. Get it from Horseshoe Brand for $6.99 (available in nine hot sauces and two barbecue sauces). 27. 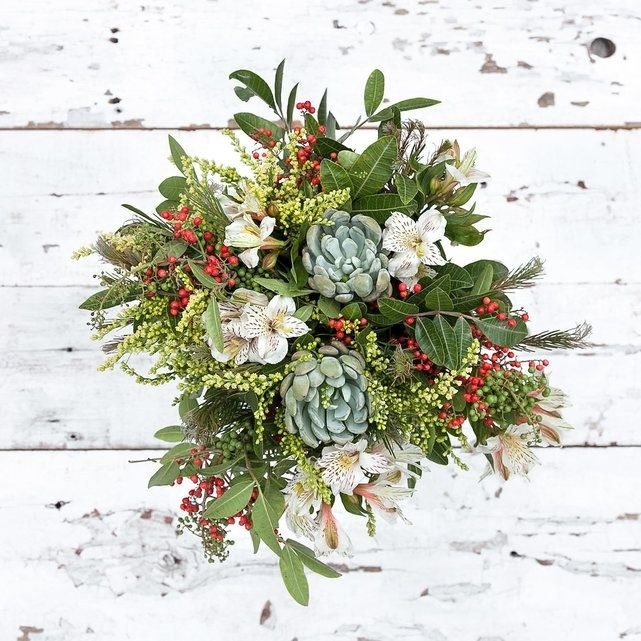 A gorgeous, festive bouquet of flowers for some holiday decor sure to impress all your guests. Bouqs flowers are cut the day you order them and are shipped right from one of their farm partners to ensure freshness. All the farms practice sustainable, eco-friendly farming, and they only cut what they sell. They also sell beautiful wreaths worth checking out! Browse the Bouqs holiday collection starting at $40. 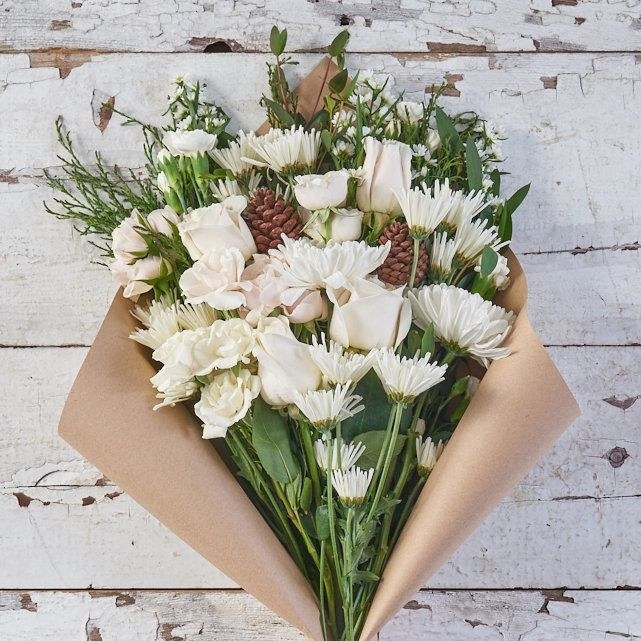 See more places to order flowers online. 28. A mini llama neon light you need if you're trying to make everything in your home animal-themed (isn't everyone?). Get it from Nordstrom Rack for $12.97. 29. 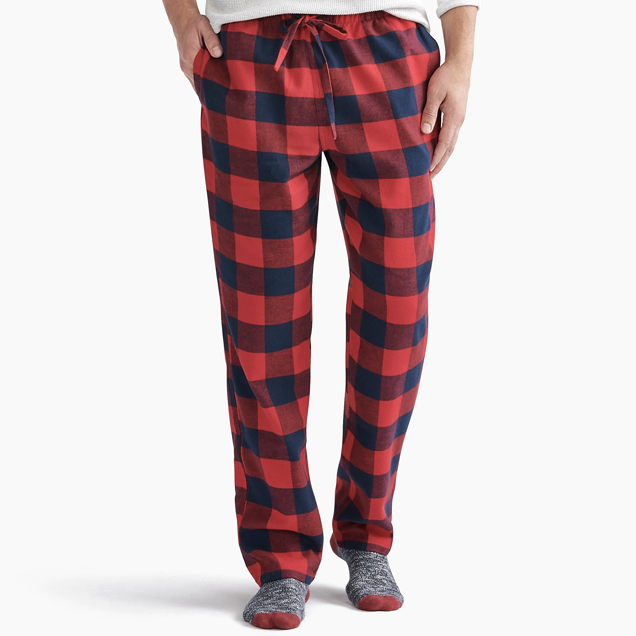 A pair of patterned flannel pajama pants perfect for debuting on Christmas morning. 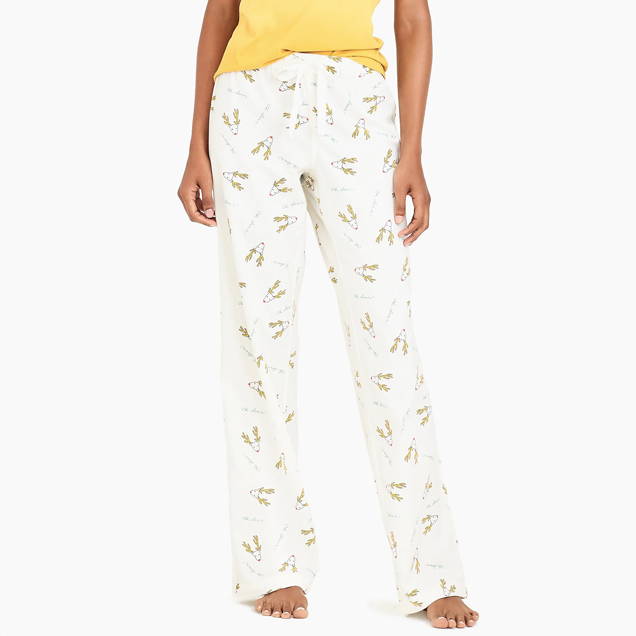 Get the pants on the left for $16.95 (available in women's sizes XXS–XXL) or the pants on the right for $16.95 (available in men's sizes XS–XL) from J. Crew Factory. 30. Fancy tins of hot cocoa in peppermint, caramel, white chocolate, and milk chocolate. There's plenty for the whole family, or maybe just you. Get a set of four from Harry & David for $19.99 (or $34.99 with mugs). 31. A tropical brush set from Tarte that will look so good flamingling in your makeup bag. You get a fan brush, stippling brush, powder brush, cheek brush, and contour brush. Get a set of five from Tarte for $39. 32. A pair of socks perfect to pair with your dancing shoes. Get them from Amazon for $10.99 or ModCloth for $12. 33. 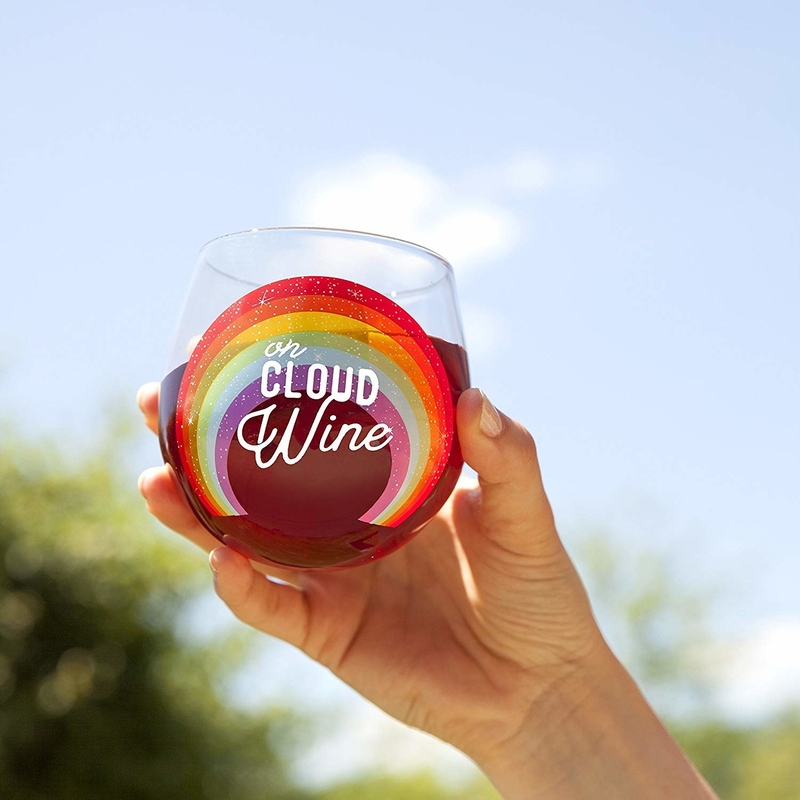 A punny, stemless wine glass that will be a great-ient addition to your kitchen. Also available in: a diamond, an owl, a dinosaur, and love potion.